Lumendi is pleased to have DiLumen EIP featured in two 2018 ACG Presidential Poster Award Recipients. UEG, or United European Gastroenterology, is a professional non-profit organization combining all the leading European societies concerned with digestive health. Together, our member societies represent more than 25,000 specialists from every field in gastroenterology. This makes UEG the most comprehensive organization of its kind in the world and a unique platform for collaboration and the exchange of knowledge. The Endo-update 2018 will discuss new developments as well as established procedures in an interdisciplinary manner. Advanced imaging and artificial intelligence for endoscopic diagnosis Resection and ablation of neoplastic Barrett’s: when and how? The 2019 event is an excellent opportunity for you to engage with the UK clinical community including consultant gastroenterologists from across the UK, trainees interested in gastroenterology, surgical colleagues and nurses. We would be delighted if you would support this innovative and exciting meeting, bringing together the very best in Endoscopy. The motto of this year's congress "Multidisciplinary & Integration of new Techniques" describes the central development of the last years and an outlook in the future, with the experts around the topic of endoscopy and imaging techniques Refine existing diagnostic techniques and always new fields of application for the develop therapeutic endoscopy. Comprised of over 6,000 surgeons worldwide, the mission of the Society of American Gastrointestinal and Endoscopic Surgeons is to improve quality patient care through education, research, innovation, and leadership, principally in gastrointestinal and endoscopic surgery. 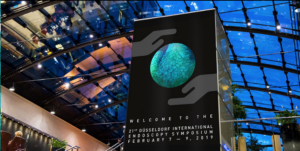 The goals of the European Society of Gastrointestinal Endoscopy (ESGE) have always been underpinned by the fundamental aims of increasing quality of care, establishing guidelines for best practice and developing educational programmes. These aims led to the development of the first-ever ESGE Days which took place last year in Budapest.